The town of Princess Anne - home to fewer than 2000 residents - is wher you'll find the University of Maryland Eastern Shore, an historically African American institution with an undergraduate enrollment of just under 3000. The Delmarva Peninsula offers many recreational opportunities including the beaches of Ocean City and Assateague Island where wild horses roam. Popular majors include biology, and business. What is a typical University of Maryland Eastern Shore student like? Describe the type of person that should attend University of Maryland Eastern Shore. 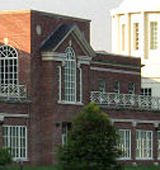 What are the top 3 reasons someone should attend University of Maryland Eastern Shore? What was a typical University of Maryland Eastern Shore student like in high school? Describe the type of person that should attend University of Maryland Eastern Shore. someone that likes a diverse environment and likes to be around other student with different cultures and languages. What are the top 3 things that students do for fun at University of Maryland Eastern Shore? UMES offers a wide variety of activities but three of the most dominate things on campus are. Student government association, Greek life, and school clubs. The average student pays $12,750 for tuition, fees, and other expenses, after grants and scholarships. Total stated tuition is $4,628, in-state and on-campus, before financial aid. Learn more about financial aid at http://www.umes.edu/financialaid. Estimate the net price for you at http://www.umes.edu/netpricecalculator/npcalc.htm. University of Maryland Eastern Shore participates in the NCAA Division I-AAA for college athletics. Want more info about University of Maryland Eastern Shore? Get free advice from education experts and Noodle community members.